HUNTSVILLE, Alabama – Two recently-closed downtown Huntsville dining spots will soon be back in business with new owners, revamped menus and two of the city’s best chefs at the helm. The former James Steakhouse at the corner of Washington Street and Clinton Avenue, which closed June 30, is expected to spring back to life late next week as The Bottle with Chef Andy Howery in charge. The seasonal menu will feature classic French-influenced dishes prepared with heirloom tomatoes from Keel Mountain, Gulf seafood and other mostly Southern ingredients. Next door, Humphrey’s Bar & Grill is undergoing a more extensive makeover, including a new acid-washed concrete bar and shifting focus from eclectic bar food to barbecue and blues joint. When Humphrey’s re-opens in mid-August, customers will be greeted with smoked turkey wings, barbecue sliders, pulled pork spring rolls, moonshine-soaked peaches and other unique but familiar eats. 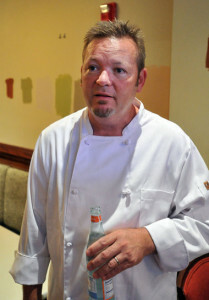 Chef Chris McDonald said much of the cooking will take place on a large meat smoker behind the restaurant. “We’re bringing the smell of barbecue back to downtown Huntsville,” McDonald said Tuesday. McDonald, who cut his teeth at the legendary Le Bernardin in New York City and spent the past six years as executive chef at Grille 29 in the Village of Providence, and Howery, most recently of Watercress in Bridge Street Town Centre, will co-own both new downtown eateries. Their partners are John Zimmerman, Brit Crossley, Anne Pollard and a sixth investor who does not want to be identified. The group’s ABC to Z Inc. recently bought the rights to Humphrey’s and James Steakhouse from longtime operators Washington Square Group. McDonald said the new company hopes to also eventually purchase the buildings. 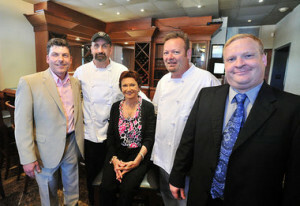 McDonald, Howery, Zimmerman and Crossley became friends while working side by side at Humphrey’s and James Steakhouse predecessor Pauli’s Chophouse in the early 2000s. Zimmerman tended bar; Crossley helped manage the front of the house and was the resident wine expert. Pollard owned Green Bottle Grill on Airport Road, where Howery and many other Huntsville chefs got their start. The Bottle name is a nod to the Green Bottle, which was considered one of Alabama’s best restaurants before closing in 1999. Pollard said she expects food magic to happen by getting Howery, McDonald, Zimmerman and Crossley back together. “It really is a dream team,” she said Tuesday. Humphrey’s and James Steakhouse closed for renovations shortly after Huntsville celebrity chef James Boyce ended his management relationship with both eateries, as well as Café Alana Shay on South Memorial Parkway, to focus on the three downtown restaurants he owns: Cotton Row, Commerce Kitchen and Pane e Vino. The new ownership is committed to changing more than the food. Humphrey’s hopes to bring in blues bands traveling the Chicago-to-New Orleans club circuit. After local musician Rob Aldridge was ticketed $500 for a noise ordinance violation while playing on Humphrey’s outdoor patio in April, the new owners are looking to “lighten it up a little bit,” said Zimmerman. “We want to be part of the community, not a sore thumb,” he said. 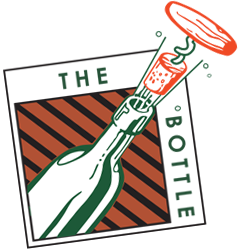 The Bottle plans to open its bar at 4 p.m. and serve dinner from 5-11 p.m. Monday through Saturday. Humphrey’s will be open Monday through Saturday from 11 a.m. until late night. Both restaurants will be closed on Sundays.